THE commercial director at the Daily Record and Sunday Mail newspapers has been appointed the papers’ managing director. Denise West has been handed the role as part of a wider remit which sees her become MD of Scotland and NE England. 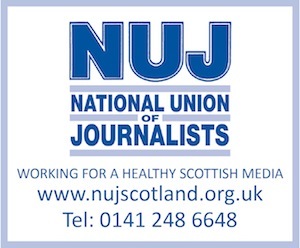 It follows further re-structuring at publishers, Trinity Mirror – which in Scotland has been known since December as Media Scotland and includes the Record, the Mail and several Scottish local newspapers. Both West and the editor-in-chief of Media Scotland, Allan Rennie, will report to Mark Hollinshead, who last week was made Trinity Mirror chief operating officer by recently-installed chief executive, Simon Fox. It’s all part of creating a flatter management structure. Hollinshead had been MD of national newspapers, and he also had held the title of MD at the Daily Record and Sunday Mail, a role he had been appointed to in 1998. There is now no longer a division between national newspapers and regional ones; that was among Fox’s announcements last week. Trinity Mirror has titled its latest move as ‘unifying the publishing structure’. In a statement, it says: “The reorganisation will allow editorial, advertising and support functions to operate as effectively as possible across all of the group’s print and digital publishing operations. Both Rennie and West are now part of the Publishing Operations Group. Also, as part of the restructuring, Lloyd Embley is promoted to the position of editor-in-chief of the national titles, while Paula Scott becomes publishing director of the same portfolio. Lloyd and Paula will take responsibility for the publishing strategy of the Daily Mirror, Sunday Mirror and the Sunday People. Joanne McGreevy is promoted to managing director of MGN Ireland. Hollinshead is quoted in the statement, as saying: “I am delighted to outline the new unified management structure for One Trinity Mirror which will ensure we have the best team in place, in the right markets, to help us achieve our ambitions to grow revenues, and accelerate our plans for all our digital and newspaper brands.